When my children were younger, summers were for playing, fun activities, and vacations. 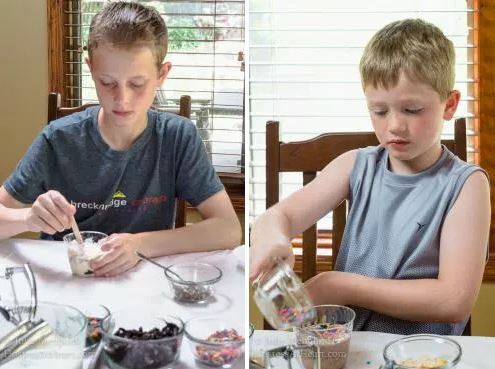 They would have loved making these super fun summer ice cream pops with Hiland Dairy Ice Cream. My children have grown up and moved out, so I kidnap borrow my neighbor’s children. I enjoy lots of fun activities with these kids. They had a ball making the Minion cupcakes, and if I remember correctly, it was the youngest one, Benjamin’s idea. I’ve got to get him on the payroll! When I was given the opportunity to work with Hiland Dairy again, I wanted to get together with these kiddos and plan a fun activity. With school just letting out, I knew they’d love it. Before I issued the invitation, though, I had to make sure Hiland Dairy Ice Cream was “safe.” One of my little buddies is extremely allergic to peanuts. 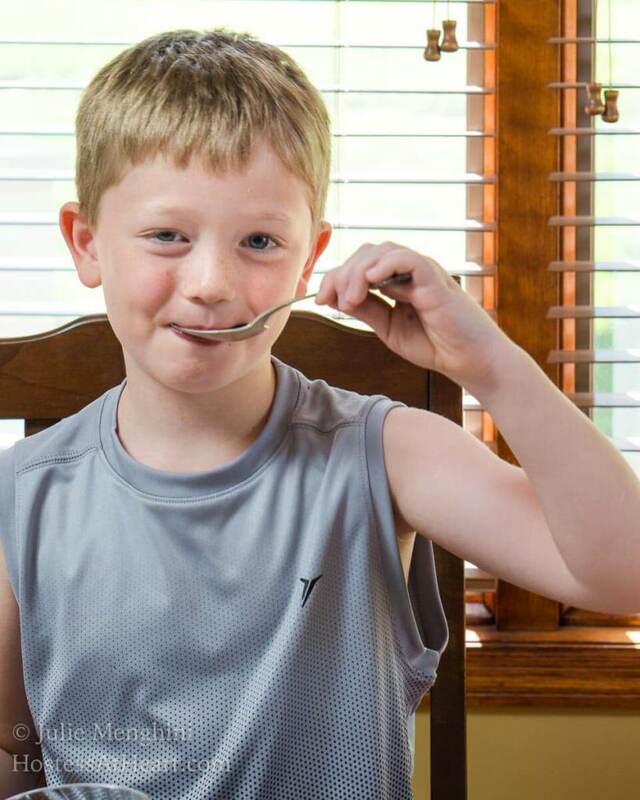 Hiland Dairy Ice Cream is safe for people with nut allergies. I also learned that Hiland Dairy contains no artificial growth hormones and is always tested for antibiotics. As I was getting the “scoop,” I learned that Hiland is also running a contest where you can win a vacation for four! “Pop” on over and enter! 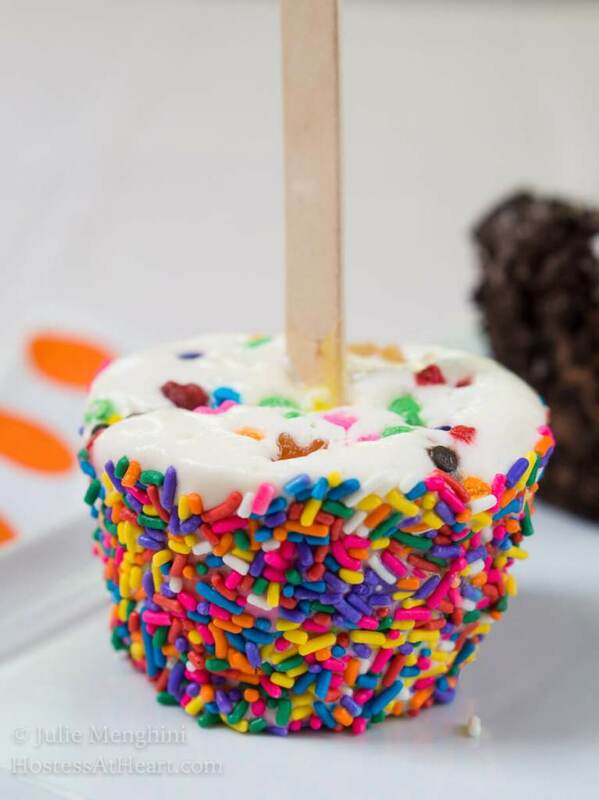 Coming up with the summer fun ice cream pops was pretty easy. I wanted something the kids could just play around making, without much instruction. Covered my table with a disposable vinyl tablecloth and taped down the edges. Sprinkles can stain wood, and they like to go everywhere. It also makes cleanup a breeze. Placed a rimmed baking sheet in my freezer so the works of art could be transferred immediately. 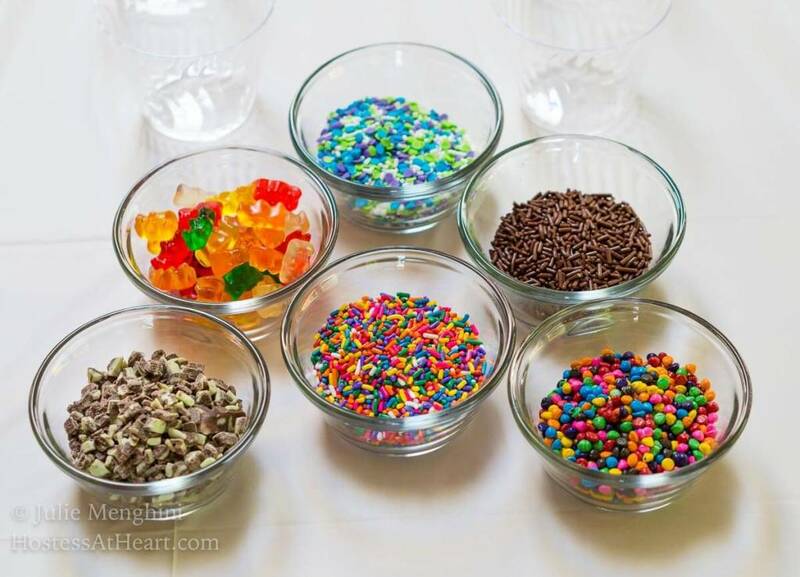 Filled bowls with toppings (chocolate cookie pieces, sprinkles, gummy bears, etc.). Placed ice cream in bowls to soften it for easy scooping. Placed cups and wooden treat sticks on the table. 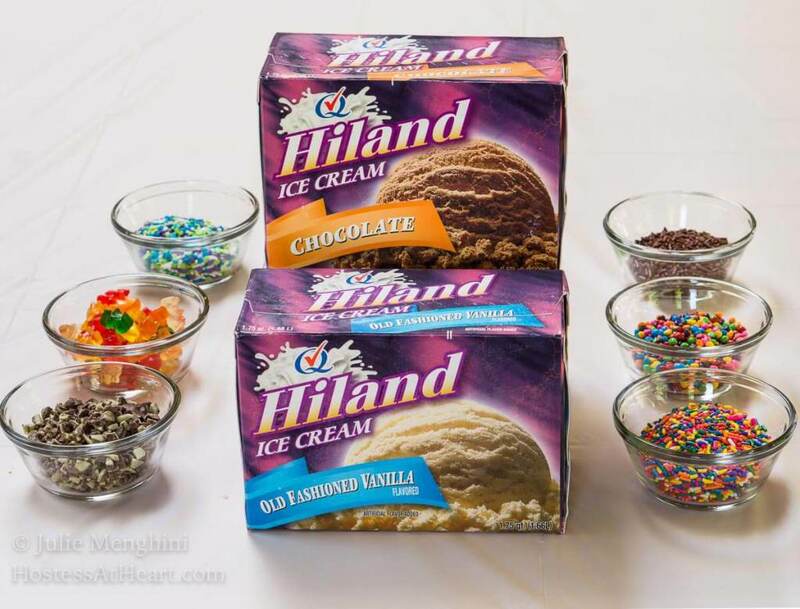 Use Hiland Dairy Old Fashioned Vanilla Ice Cream, Hiland Dairy Chocolate Ice Cream or both. 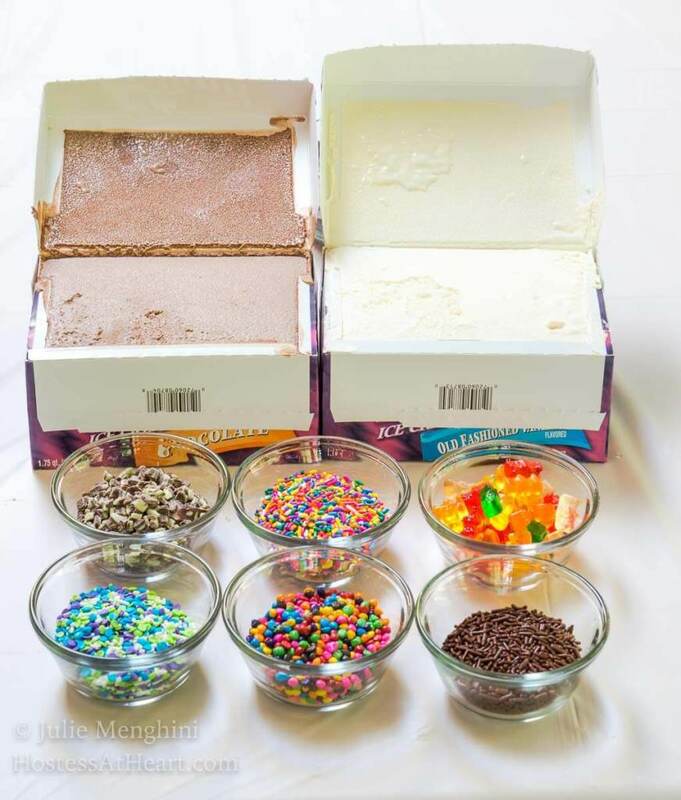 Understand that the toppings that go into the bottom of the cup will actually be on top of the ice cream pop. 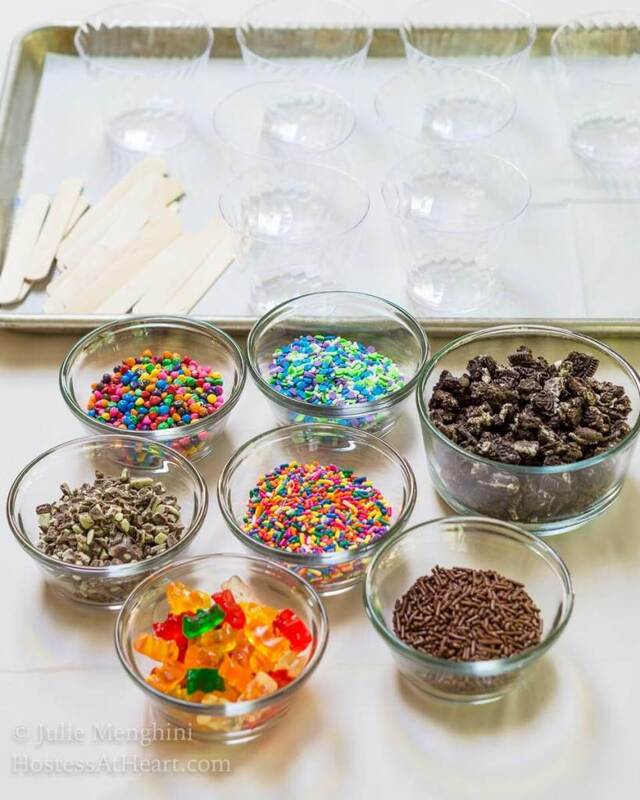 Think about flavors they like together, such as chocolate and mint or cookies and cream. These kids were pros. William was methodical in his goody placement and ice cream scoops. Benjamin used more of the smoothie approach. He said, “it doesn’t look so good on the outside but it’s good on the inside.” I agreed. As soon as each one was complete, I labeled a treat stick with each of their initials and put it in the freezer. They were all in the freezer once it was time for their ball practice. After freezing solid, they came back to roll their works of art in more goodies. Amelia, who had been feeling under the weather earlier, joined us. We warmed the cups briefly in our hands until they would just turn. After rolling them in the goodies, we put them back in the freezer. In no time, we had creamy delicious ice cream pops! I’d like to thank Hiland Dairy for such a high-quality product and for supporting Hostess At Heart.